Hello every one. Welcome to another of Bill’s History Corners. Today we are going to go off script a little, well maybe not that much. We will see how this turns out. As you have realized, we are interested in almost anything related to Nappanee. The businesses, the industries, the retail stores, and the people that made up the great town of Nappanee. 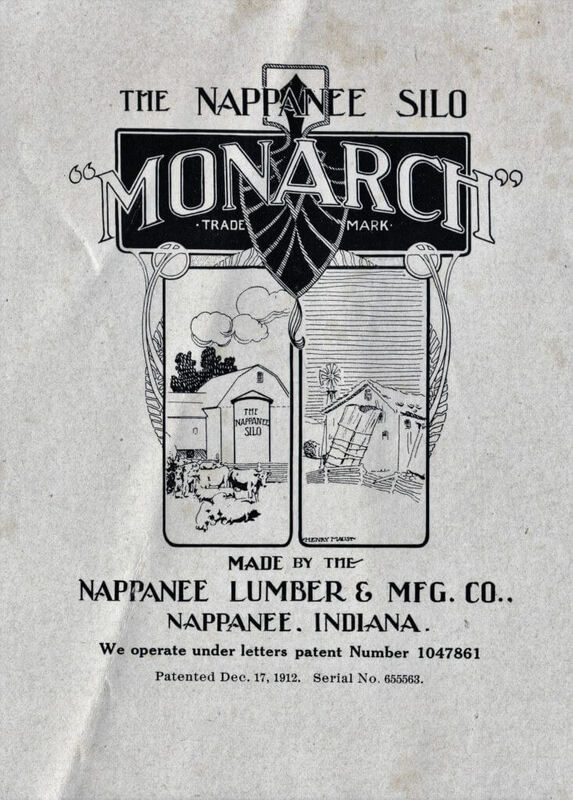 One such industry in Nappanee that we are following was the Nappanee Lumber& Manufacturing Company. Locally called “Uline” because the owner and founder were Barney Uline and family. 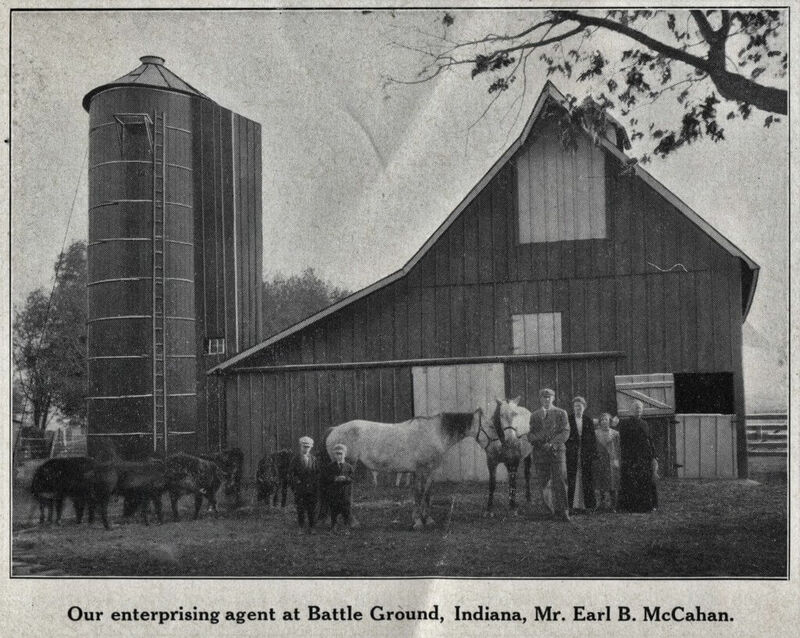 Mr. Uline was an early member of Nappanee. He had a general store in the town of Locke and moved everything to Nappanee. Later in Nov. of 1884, he traded his dry goods stock to Mr. Geo. Freese, Sr. for Mr. Freese’s BUTTER TUB FACTORY. Apparently, an even trade. Mr. Uline continued the mfg. 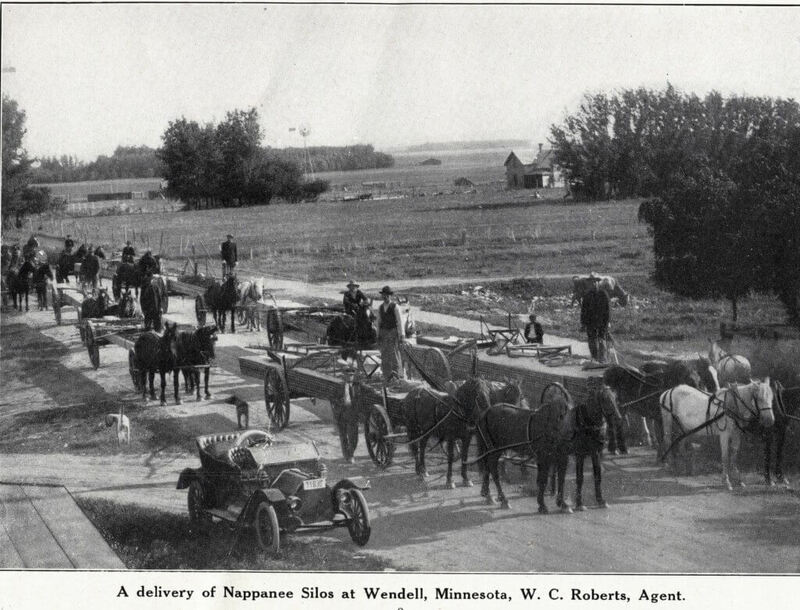 of butter tubs, while Mr. Freese sold off the stock of dry goods and then devoted his time to the creamery business. Mr. Uline’s business soon expanded to include a line of children’s furniture. We have several examples in the large showcase in the 2nd floor Kitchen Cabinet Museum. This line of children’s furniture was extensive. It included beds, dressers, tables, high chairs. Also, other products of the Nappanee Lumber & mfg. co. were ironing boards and folding card tables & chairs. All this is interesting, but what I really wanted to talk about today was another product manufactured by the Nappanee Lumber & Mfg. Co. and that was wooden SILOS for use on the farm. In a written history of this company, the writer described a purchase that the Nappanee Lumber & Mfg. Co. made in early 1930. Apparently, the company was able to purchase many train car loads of a large size of cut timber. So large was this purchase that the company had difficulty finding space to unload all the train cars on their lot. As I remember reading it, the deal was too good to pass up, even if the company had no idea at the time what they could manufacture from the large sizes of wood. There should be a saying about that kind of business opportunity. So, the Nappanee Lumber & Mfg. co. began producing wooden SILOS. The train loads of large pieces of lumber was the beginning of another product line for this company. 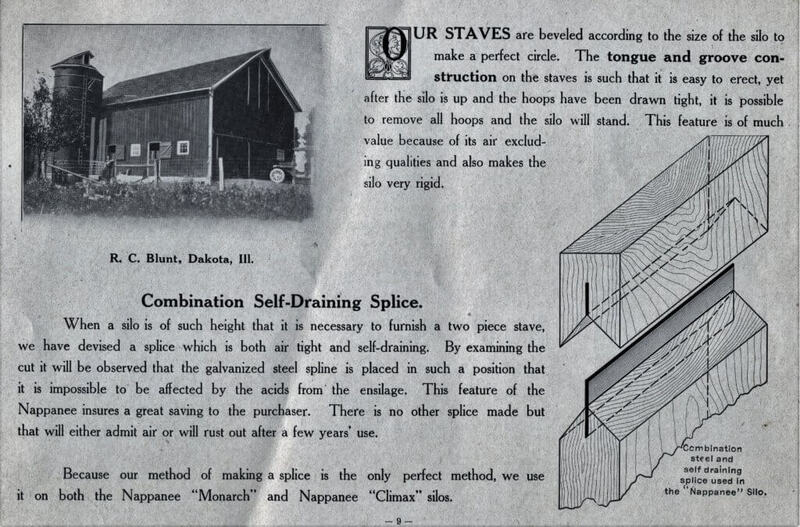 With some careful milling, the company made Silo wooden pieces that could stack and fit together and made an airtight seal which was ideal for use on farms. We have one 24-page brochure from the Silo building company. I have scanned a couple of the more interesting pages for you to see. 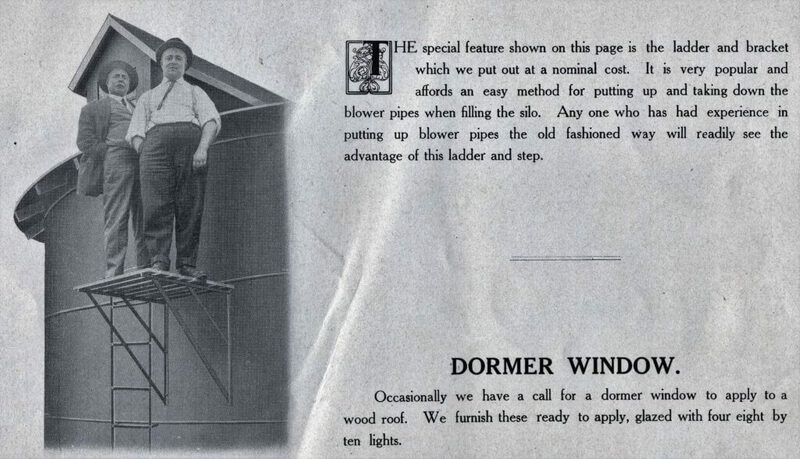 I think it would be interesting to find an existing wooden Silo from the Nappanee Lumber & Mfg. Co. I have no idea what we would do with it but it would be interesting to find. I’ve noticed that there are several youtube videos showing people knocking down farm silos that are no longer safe or serve a useful purpose. Very sad. Enjoy the scans and as you drive around the countryside keep an eye toward any farm silos. Seems like they will soon disappear from the landscape. That is very interesting information about the Uline Factory. I knew a out the company but the information a out the Silo Compa y was a surprise to me. I love learning history about Nappanee in the early years. Thanks for following along, Lois. We’re glad we could share something of interest for you!